Portable SD and other card readers are a dime a dozen these days. 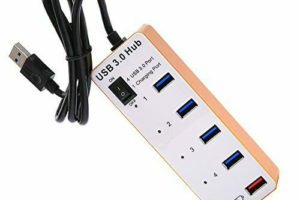 Fortunately, Unitek has done something to stand out with their 3 Port USB 3.0 Hub with Card Reader. 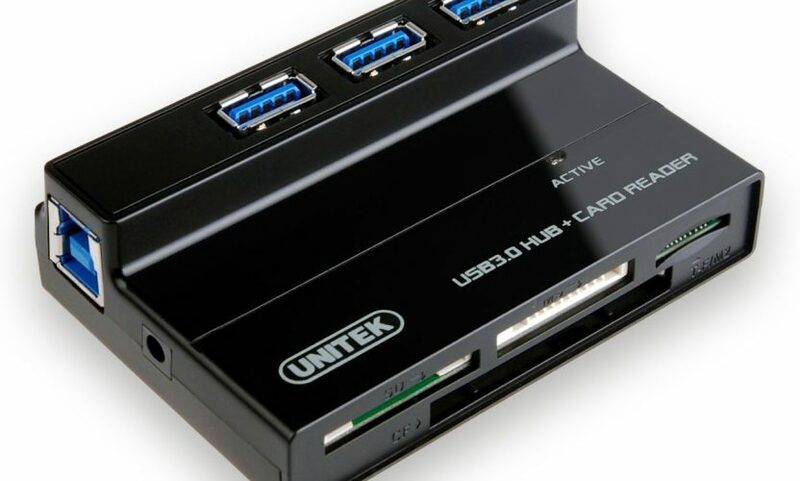 At home both as a portable unit and trusted desktop companion, the Unitek device, as the name implies, combines a three port USB 3.0 hub and an SDHC, SDXC, microSD, microSDHC (UHS-I), microSDX (UDS-I), and CF/MD/MMC/M2/MS card reader. 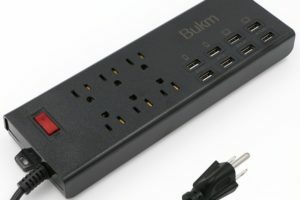 I’m particularly thankful for the former, because even though my desktop has lots of USB ports, most of them are occupied, and the ones that aren’t are usually difficult to reach. As such, my current card reader, although only fractionally smaller, occupies a slot for its only occasional use. In terms of portable usage, I’m in a similar situation with my Surface Pro 3. It has one USB 3.0 port, so I carry both a USB hub and a card reader. Now, I can carry just this one device to do everything I need. 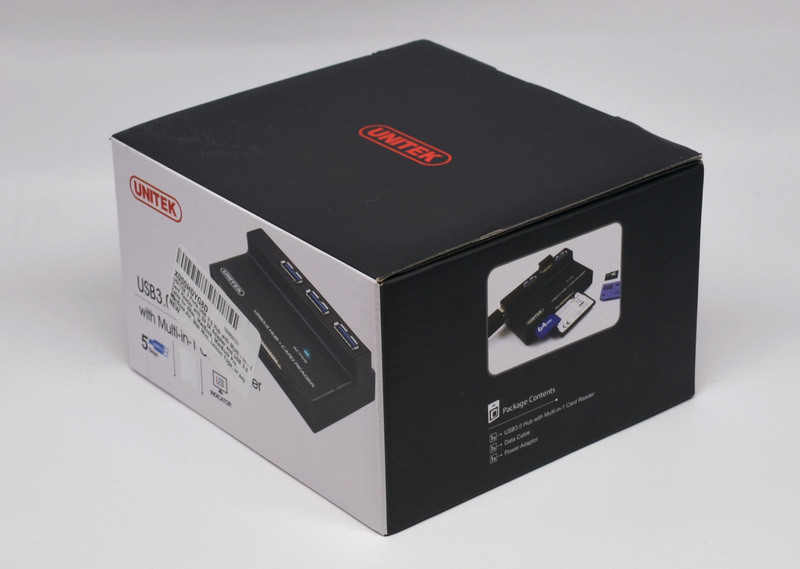 In the box, you get the card reader, 5V 2A AC power adapter, and a 3 foot USB 3.0 cable. 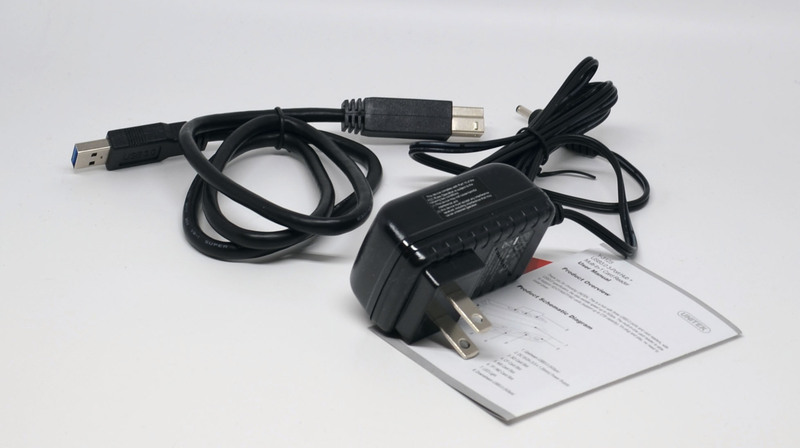 Since the Unitek can be powered off of a USB connection, the AC power adapter is optional and something you can reserve for desktop usage. 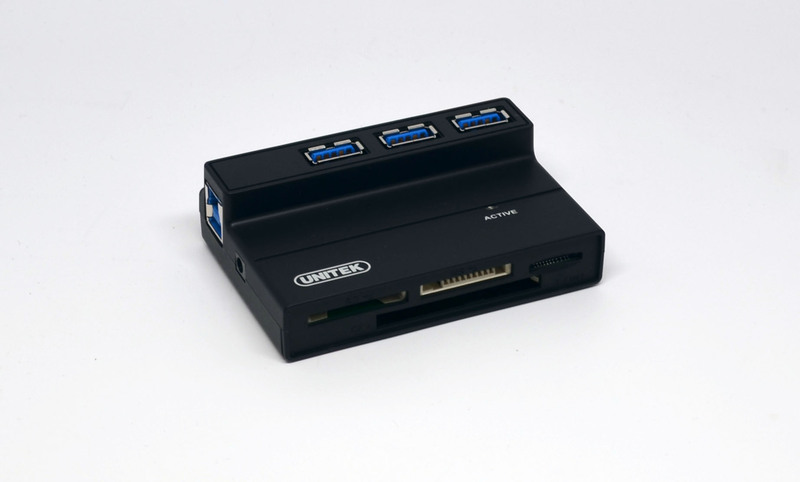 Feature-set-wise, the Unitek has the three USB 3.0 ports and four card reader slots powered by the GL3233 and VIA VL812 chipsets. 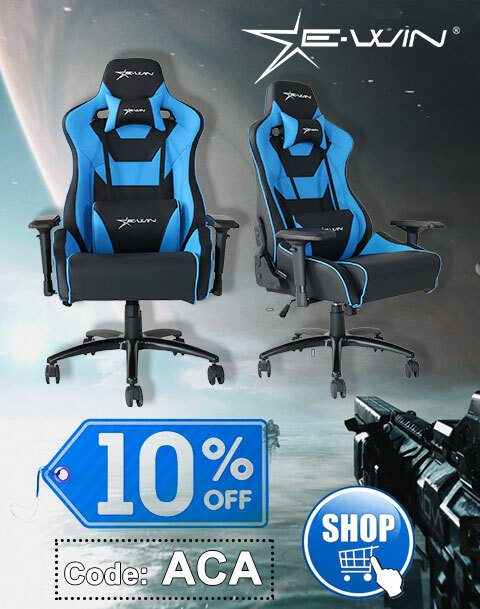 It’s also backwards compatible with USB 1.1 and 2.0 devices, and is of course driver-free and completely plug and play on most Windows-, Macintosh-, and Linux-based systems. 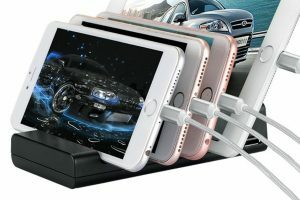 As is typical for a hub that draws power from a single USB port, it can charge most phones and other smaller devices, but can only sync devices with larger power draws like iPads. The Unitek is a great way for me to consolidate two functions that I need into one device. 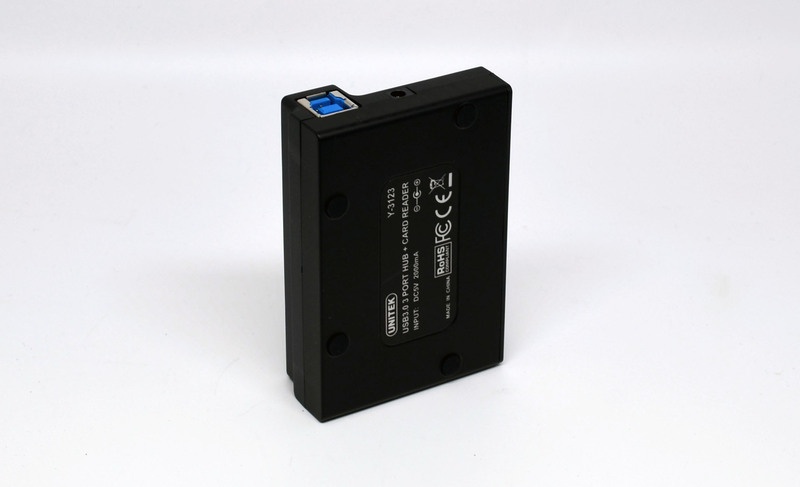 It’s a fair price too, costing only slightly more than most standard card readers. A clever combination of features makes for a wonderfully versatile device. Thanks to Unitek for the review unit.